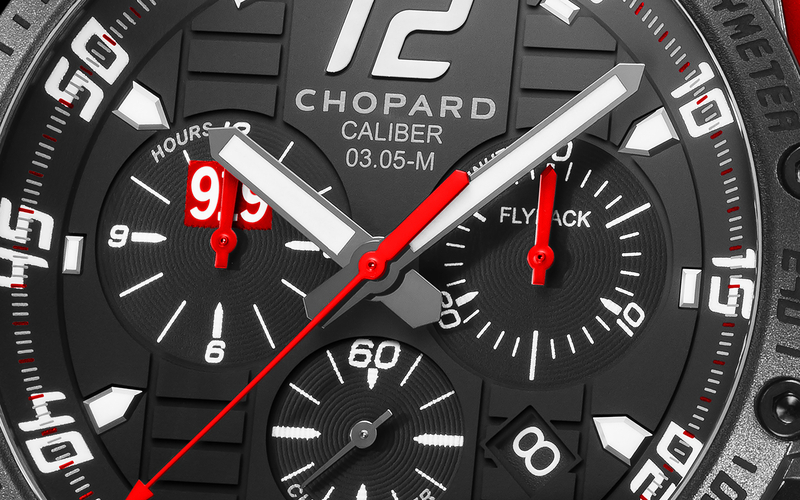 Geneva-based watch manufacturer, Chopard, has been the official timing partner of Porsche Motorsport since their return to the “24 Hours of Le Mans” in 2014. After winning a first and second place at last year – Porsche Motorsport is naturally one of the favorites for 2016. 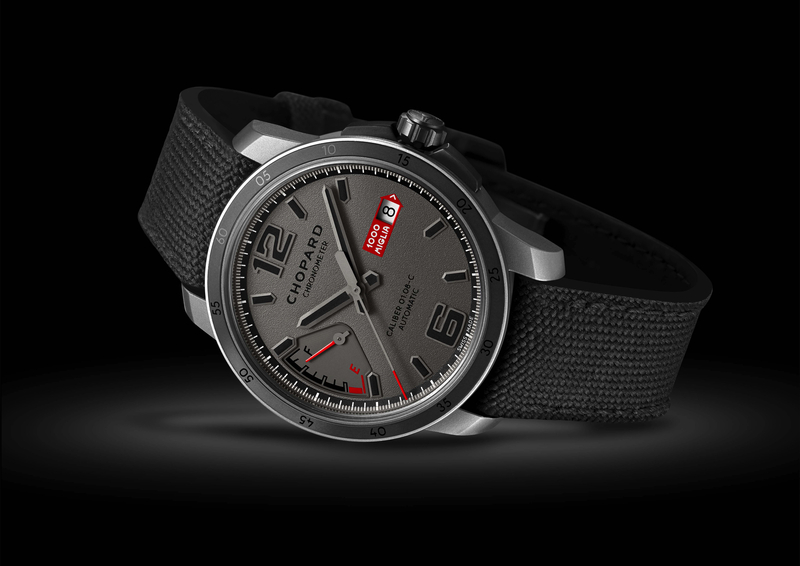 On the occasion of the 84th edition of the famous Le Mans endurance race (which started this morning at 9 am EST and tomorrow), Chopard has aptly unveiled a new timepiece inspired by the new 2016 Porsche 919 Hybrid racecar. The 100 piece limited series is presented in a 45 mm x 15.15 mm blackened titanium case that features designed cues taken directly from the renowned Porsche Motorsport 919 Hybrid race car (pictured below), and a sporty red, white and black color scheme. Equipped with a 45 jewel automatic mechanical movement “engine” – in-house manufactured caliber 03.05-M oscillates at 4Hz (or 28,800 vibrations per hour), and features a 60-hour power reserve. 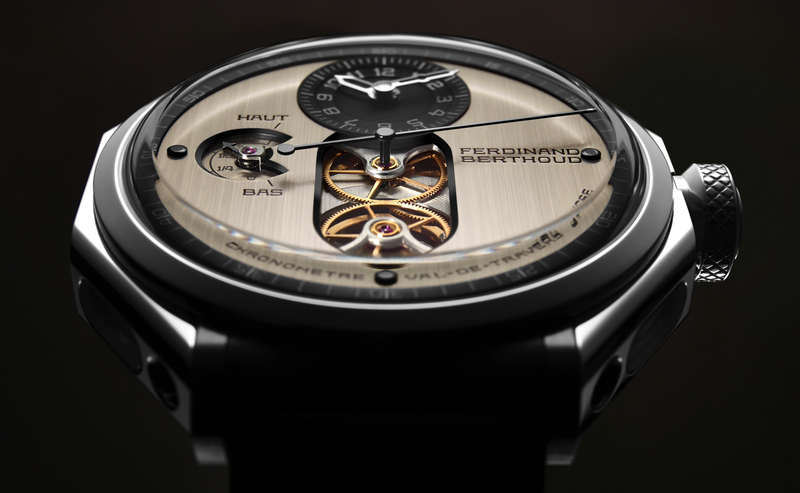 It is worth noting that the bridges of the movement feature slits that are reminiscent of racing engines. Uniquely, the dial has a tire tread motif running vertically on the left and right, further enhancing the race theme. An engraved and black-lacquered titanium bezel with tachymeter function, secured by eight screws in PVD-blackened steel allows speed calculations to be made, in conjunction with the chronograph. The chronograph uses centrally mounted long red arrow-shaped hand to display chronograph seconds while the chronograph is running, and can be instantly stopped/reset/started with a single push of the red rubber coated flat pusher at 2 o’clock (this is called a flyback function). At 3 o’clock, the subdial marked with “Flyback” counts elapsed minutes up to 30 minutes. And at 9 o’clock, the subdial which reads “919” as a nod to the 919 Porsche Hybrid racecar, indicates up to 12 elapsed hours. There is a large numeral marking 12 o’clock, with indices the for other eleven hours. All hour markers, as well as the hour and minute hands, are treated with luminescent material. Finally, the flange has a 0-60 transfer with graduations that can be used to indicate minutes or chronograph seconds. At 6 o’clock a small seconds sundial displays continuous sweeping seconds. The case has a matte finish, and the flanks are engraved with slits, like on the movement bridges, as a further homage to racing. Moreover, the screwed-down rubber coated crown is emblazoned with a steering wheel emblem. The sapphire case has a transfer that reads “Official Timing Partner Porsche Motorsport,” right on the glass. Water-resistant is 100 meters. 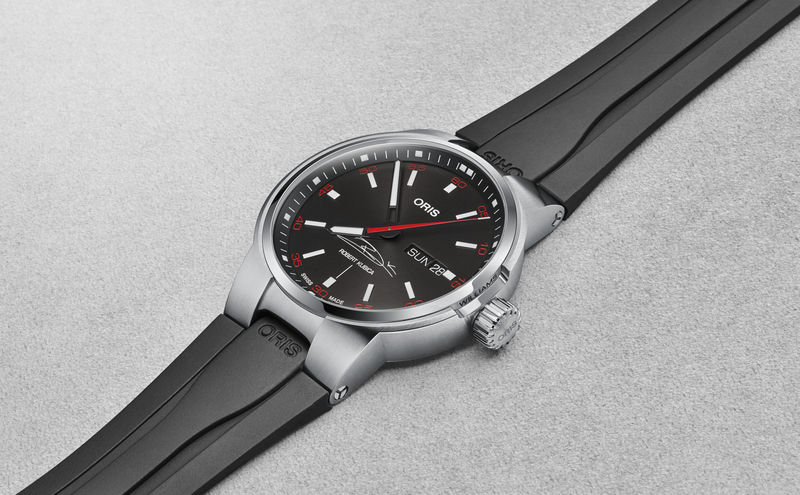 Fittingly, this racing timepiece comes with a black rubber strap with a (slick tire tread motif), similar to the tires used on the cars racing at Le Mans and includes a folding clasp in bead-blasted, DLC-blackened titanium that matches the case. (Ref. 168535-3005) The Superfast Chrono Porsche 919 Black Edition retails for $14,370 and is a boutique exclusive.